Timeless This beautiful wooden classic cuddly cabin was repowered and fully restored in 2003. 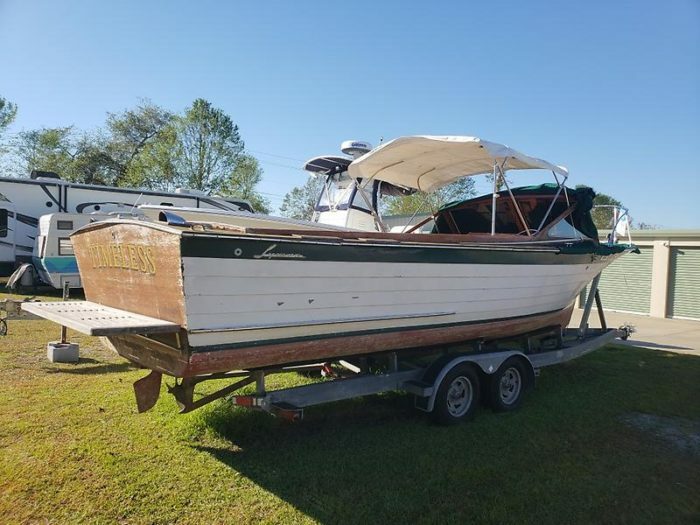 She has some water damage and wood rot on the port gunwale but is priced accordingly. Owner is motivated to find her a loving home, bring all offers. She comes with trailer and is road ready. Contact Lars Bergstrom via Email or 910-899-7941 for more information and an appointment to view this 26 Lyman Sleeper cuddy cabin for sale.